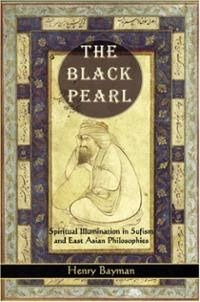 The Black Pearl: Spiritual Illumination in Sufism and East Asian Philosophies by Henry Bayman is an unique work in the genre of Comparative Spirituality and Religion, unique because it successfully brings together apparently quite distinct traditions. This was one of the most interesting book I have ever read early on on the subject of Sufism and universal vision of the Sufis at Eastern Religions at a time when I was living in East Asia, somewhat immersed in its culture and tradition. So when I discovered the book at the library of National University of Singapore while I was studying there, it was a welcome source of inspiration and illumination, for it enabled me to appreciate more deeply the Eastern Path and Tradition. The subject matter of language and communication and they are used to communicate truth, aspects of reality always fascinates me, and this book is a very good demonstration how truth can be found in language which are so vastly different in every aspect, yet they embody and points the same truth. Where are you hurrying to? In the preface of this book the author shares how his study and interest earlier in Eastern Philosophies and Thoughts lead him on to Religious Traditions. According to him, Islamic Sufism has much in common with Buddhism, with Taoism, with Zen and Confucianism. He however doesn't deny the differences. This book was not meant to be a comparative study but rather a light on some of the understandings of reality from sufi view as well as that of the eastern religio-spiritual traditions. The earliest ancestors of the Chinese believed in One God (called Shang Ti or T’ien Ti). It is impossible to overemphasize the fact that Chinese culture and Chinese history begins with the concept of One God. Although today, God is not recognized explicitly in East Asian thought, yet His recognition is just around the corner. The Chinese terms Tao, T’ien, Ti, and the Japanese term Kami all refer to sacredness or the Absolute. Since there cannot be more than one Absolute, at bottom they all must refer to the same thing. The concept of the Tao, Dao, or Way, is at first glance quite similar to the God concept. Further reflection may lead one away from such a notion. The Tao, one finds, is the ultimate metaphysical principle, is impersonal, and is never conceived of as Deity. On the other hand, further study may also reveal deeper affinities between the Tao and God. In metaphysical terms, Taoism claims that the Tao both is everything and created everything. Only the Tao exists. It has no parts or divisions and nothing inside or outside It. It transcends both time and space. These are all equally valid descriptions of the Real from the standpoint of Sufism. Probably the work that delves most deeply into the relationship between the concepts of God and Tao is Toshihiko Izutsu’s seminal study, Sufism and Taoism. According to Izutsu, the Absolute is called Haqq (the Real) by Ibn Arabi and Tao (the Way) by Lao Tzu and Chuang Tzu. Since Chuang Tzu wrote in greater detail than Lao Tzu, it is to the work of the former that we must turn to find references to God, if indeed there are any. According to Chuang Tzu, all things freely transform themselves into one another, which he calls the “Transmutation—or Transformation—of things” (wu hua). This is the Taoist version of “mutual interpenetration” or jijimuge, and is called “the flowing/spreading of Existence” (sarayan al-wujud) by the Sufi sage Ibn Arabi. This suggests that boundaries are real-yet-unreal (a situation highlighted by the phrase “No Boundary”), and that ultimately, all things are merged together into an absolute Unity. If the Tao “produced” the ten thousand things, then the Tao is in some sense the “creator” of things. Do we find anywhere within the Chuang Tzu (the name of his work) explicit reference to a Creator? The answer is: Yes, we do. It is impossible for us to see Him in a concrete form. He is acting—there can be no doubt about it... He does show His activity, but He has no sensible form. Other affinities between Sufism and Taoism abound. Chuang Tzu’s expression, “sitting in oblivion” (tso wang) is the equivalent of the Sufic “Annihilation” (fana), or also perhaps One Who is Independent of all things. 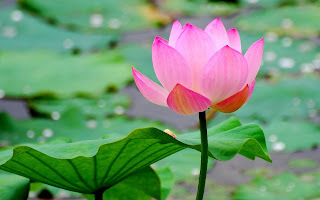 In this connection, Chuang Tzu makes a master say: “I have now lost myself,” which means that the sage is ego-less. This points to the annihilation of the subject/object boundary. As Izutsu explains, where there is no “I,” there are no “objects.” It is one of the most difficult things, however, to nullify one’s own self. Once this is achieved, says Chuang Tzu, “the ten thousand things are exactly the same as my own self.” Chuang Tzu’s “illumination” (ming) is another name for Gnosis (marifah). All this points to a further confirmation of a central thesis of this book: God is non-explicit in the East, but this does not mean He is non-existent. Just below the threshold of consciousness, and ready to bloom at the earliest convenience, is the full acknowledgment that God exists. Everything emerges with its opposite. How can one who follows reason know Him, how? God informs the Grand Sheikh Abdulqader Geylani, “My Way for the Learned is in abandoning knowledge. The knowledge of knowledge is ignorance of knowledge.” In other words, all differentiation and distinctions have to be “unlearned.” The Yogic term samadhi (synthesis, integration) and the Vedantic advaita (non-duality) point to this undifferentiation, as do the Sufic terms tawhid (Unification) and jam (Fusion). Let us conclude this section by statements to this effect by respective luminaries from the two teachings. Says Lao Tzu: “The further one travels along the Way, the less one knows.” And Abu Bakr, the foremost Companion of the Prophet: “O God, the pinnacle of knowing Whom is unknowing.” Can there be any doubt that both are speaking of the same thing, of “Knowledge of the One”? The Chinese Secret of the Golden Flower begins with the words: “That which exists through itself is called the Way (Tao). 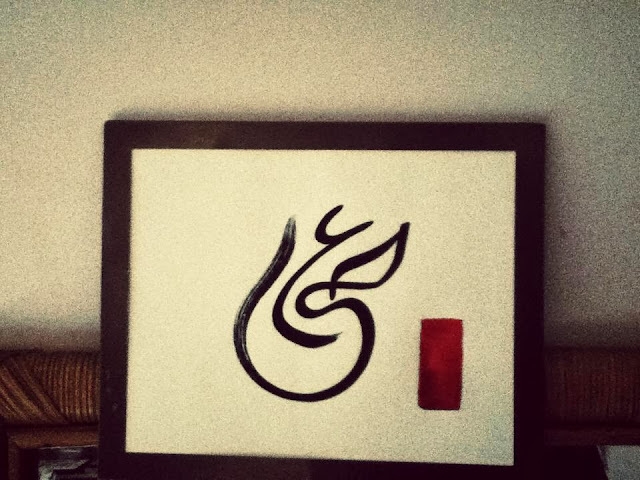 Tao has neither name nor shape. It is the one essence, the one primal spirit.” In Sufism, self-existence (qiyam bi-nafsihi, svabhava) is one of the Attributes belonging to God’s Essence. The Sufic term translates literally as “standing by His own self,” and means “dependent on nothing and no one else for His existence.” It is one of the Attributes by which the Essence differs from all other things. All things which the Essence gives rise to, on the other hand, are other-dependent and non-self-existent (qiyam bi- ghayrihi, nihsvabhava, pratityasamutpada). That “other” is the rest of existence and—since the rest of manifestation is equally dependent and powerless—in the final analysis, the Other is the Essence. If Nagarjuna had not equated Emptiness with dependent origination, thus introducing a different ontological category (sunyata, adam), it would have been much easier to see this. Yet even this statement needs to be qualified by the fact that Nagarjuna was originally referring to the “void of self” that the Buddha spoke of, which is technically not at all inaccurate. [+] The Book the Black Pearl has a copy available in public domain and can be accessed here. > Also visit Official Website of Henry Bayman.